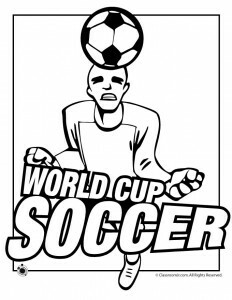 Today the 2010 World Cup kicks off in South Africa – and goes all the way through July 11th. Did you know that more people around the globe watch the World Cup than they do the Olympics? I sure didn’t! 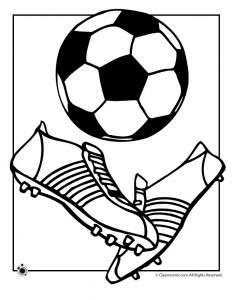 These World Cup soccer coloring pages will be great for kids watching their favorite sport. 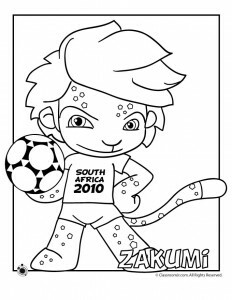 This time, South Africa has introduced the cutest World Cup Mascot – Zakumi. The name comes from “Za” coming from South Africa’s international country code (ZA) and “Kumi”, which translates translates into ‘10′ in various languages across Africa. 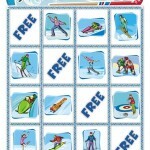 Let the 2010 games begin! 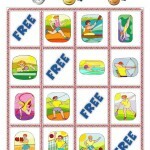 It’s said that soccer is the world’s most popular sport, and it’s easy to see why. 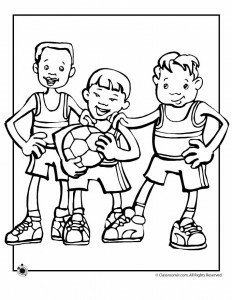 Whether you live in the suburbs of the US, in a palace in the Middle East, or in the slums of a third-world nation, all you need to play soccer is a ball, a little bit of space, and some friends! 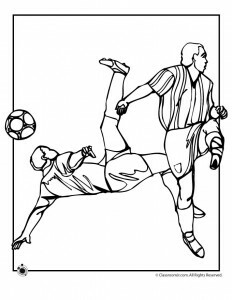 In the US and Canada, the sport is called “soccer,” but pretty much everywhere else in the world, it’s known as “football.” One of the most unique aspects of soccer is that it’s a sport where you absolutely aren’t allowed to use your hands (unless you’re the goalie, of course). The World Cup is held every four years, each time in a different host country, with literally billions of people watching the games on television. 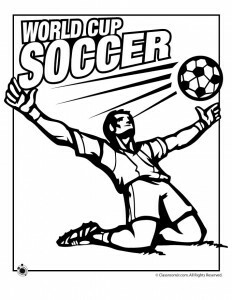 The World Cup began in 1930 but was canceled in both 1942 and 1946 due to World War II.